EVEN though it is fully 12 years since Leigh Centurions were last in Super League, Castleford Tigers coach Daryl Powell is all too aware tonight’s opponents know plenty about them. That is chiefly because, since winning promotion in September following a glorious Qualifiers campaign, Leigh have recruited two players who have generous first-hand knowledge of the Wheldon Road club. IN ENEMY CAMP: Ben Crooks, right, is on a season-long at Leigh and will play against parent club Castleford. Picture: Jonathan Gawthorpe. Centre Ben Crooks made 26 appearances for Castleford last term, scoring six tries, before being sent out to Centurions on loan for this season in order to make salary cap space for the signing of Leeds Rhinos and England full-back Zak Hardaker. Half-back Ryan Hampshire spent last season on loan with Tigers from Wigan Warriors, showing real versatility to fill in on the wing, crossing eight times in 22 matches before signing a two-year deal at Leigh. Furthermore, former England second-row Danny Tickle, who is also in the visitors’ 19-man squad tonight, played 11 games for Castleford on a short-term deal in 2016 before joining the then-Championship club last July. Given their big-name recruitment – Leigh have also added Australia back-row Glenn Stewart and robust St Helens forward Atelea Vea to a squad already boasting Willie Tonga, Gareth Hock, Harrison Hansen et al – the newcomers are intent on not only avoiding an immediate fall back down but also on mounting a challenge for the top eight. WARY: Castleford Tigers' head coach, Daryl Powell. Picture: Jonathan Gawthorpe. Powell, whose own side are tipped for big things, admitted: “I think there’s only one game that would be tougher than this to start Super League and that would be Leigh away. “Nobody wants to play the promoted team, so we have got to be aware of what they will come at us with. They have got good players in every position and some ex-Cas players. Ryan Hampshire and Ben Crooks both know a fair bit about us. “They will have been looking at every single bit of our play – and have inside knowledge – for the past month probably. Tonight’s televised game is the first Super League meeting between the sides. 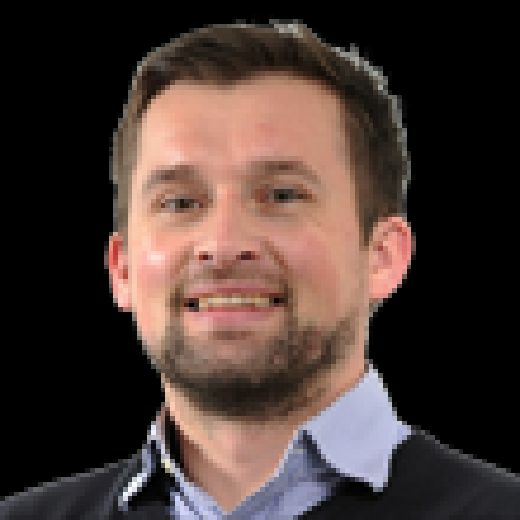 Admittedly, it is almost 30 years since the visitors last beat Castleford – a 22-18 Stones Bitter Championship away victory on December 20, 1987 – while the West Yorkshire club are unbeaten in their last 10 meetings with them since then. But Powell knows if his side are serious about winning their first silverware since the 1992 Regal Trophy and challenging for an elusive league title this is the sort of fixture they must win. “Without a doubt,” he said. “Starting the season well nowadays, with 23 rounds before the cut-off, is really important. “We’ve got a really difficult start – Leigh here, Warrington away. It’s an interesting start. Hardaker, winger Greg Eden – who joined from Brisbane Broncos – and Cronulla Sharks second-row Jesse Sene-Lefao are all set to debut in what is arguably Powell’s strongest squad since taking over in 2013. “We have lost Luke Dorn, who was an exceptional attacking full-back and he understood our game implicitly,” said Powell. “He knew everything about it and he dictated some of it as well. “Hardaker is different – an outstanding attacking player in his own right, but even better defender. We’re trying to get better at exactly that so it’s significant he’s come in there. “Forwards-wise there’s not been too many changes, but Jesse Sene-Lefao has joined and done really well and people are improving around him. “Mike McMeeken looks really strong and Paul McShane looks like he’s reaching his potential. 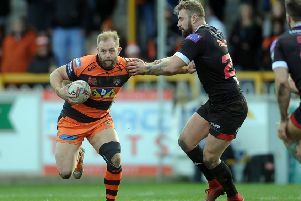 A fourth former Tiger – James Clare, who joined Leigh from Bradford – will not return to his home-town tonight due to a cruciate ligament injury.